Pink Iceberg rose, most prolific bloomer, a floribunda. This is own root iceberg. Just like every plant is shifted when it is dormant, roses are no exception. Roses do not go fully dormant in lahore but are semi dormant in winter months. So always shift or buy roses in months of December or January. Second best months include November and February. Never ever shift your roses in hot months. When buying a grafted rose, always chose the one with healthy graft. Hoe twice as deep before placing the rootball at new location so that the newly plant rose will have soft, aerated soil beneath it to grow roots easily. Try not to break the root ball (gatchi). Although in winter months, breaking the gatchi or root ball will not kill your plant but it is best to plant with as much soil attached as possible. Plant as soon as possible after getting the new rose or existing one removing from soil/pot. Although in winter months, roses can survive for weeks if they are kept moist with rootball and not left bone dry. After shifting your rose, it may yellow its leaves and shed all the leaves. It is normal and plant will being new growth in few weeks. Give ample water for the first time after shifting. And then water only when the soil goes dry. If you plant in pots then water freely until water goes to bottom of pot and you can see it coming from bottom. Never fertilize your newly shifted roses until you see the new growth. For first year, use dilute fertilizer and not full concentration recommended. Generally roses in pots require more fertilizer as compared to soil bed. Better to give 1/4th dosage every 2 weeks. Do not fertilize in winter months when plant is not growing actively. Roses like phosphorus and magnesium so Epsom salt is good for roses as well as phosphorus based fertilizers. Give less nitrogen so for NPK based fertilizer first number should be low. I personally use local 5-15-45 NPK based water soluble fertilizer with trace elements. Always choose a fertilizer having trace elements like magnesium, iron etc. Another good feed is to give one teaspoon of SSP and half teaspoon of nitrophos to roses every month specially in areas which water is alkaline. I have personally tested this regimen and it is very effective. Roses full direct sun as much as possible. However give shade in after noon in hot summer months. Some roses tolerate partial shade, one example is iceberg. Roses will grow in around 4 hours direct sun but will give less flowers. If you have less than 4 hours direct sun, do not grow roses. Roses love water but need good drainage. If water is standing in your pot for many hours after watering then it is not good drainage. Same applied to soil bed. To improve drainage, mix organic matter like old rotted cow manure or leaf compost etc in the soil bed. I use local plant fert fetilizer for drainage. You can mix peat moss as well. Cow dung manure must be at least an year old. In punjabi it is called kamela. Cow dung manure is suitable in winter months while leaf compost is suitable in summer months. You can go for overhead watering but not in the evening. Fungus: Fungus attacks due to poor circulation of air or over head watering in the evening. Mildew is a fungus which is of two types, downy mildew and powdery mildew. Use Bayer’s Aliette ‎. Blackspot: Choose those plants which are resistant to black spot. pick infected leaves and burn them otherwise it will spread fast. Hyibrd Tea are large flowered roses. If you are after large flowers but do not care about number of flowers then go for hybird tea. Some famous examples are double delight, Peace, California dreaming, fragrant plum, Mr Lincon etc. If you are after most fragrant roses then go for hybird teas. Floribunda are prolific flowering roses. If you want a rose covered with flowers but do not care about very large size then choose floribunda type of rose. They do not carry as great scent as hybird teas but compensate that with the clusters of flowers. Floribundas are better candidate for pot growing as compared to hybird teas. some famous examples are iceberg, daybreaker, angel face. Grandiflora are best of both worlds floribunda and Hybird tea. Flower shape is like hybird tea but shape of plant is bushy like floribunda. One famous grandiflora is Fragrant Plum. Miniature are small flowering roses suited to pot culture. Although the miniature does not refer to mini size of roots but generally speaking most miniatures can be grown in small pots. Some famous miniature roses are sunblaze, ballerina etc. Although there are many methods but two are most common. – By cutting Rose is grown from its cutting. Plant grown from cuttings is exact replica of parent, all traits. Own root roses take little more time to establish but are make better bush than grafted ones. Most miniatures are own root. Iceberg is also propagated by cuttings. Generally speaking, remove spent flowers will yield more flowers. Pruning and hoeing is recommended as soon as you see rose breaking its dormancy. Remove flower buds during May-September so that plant puts more energy in root development instead of poor flowers in hot summer months. You can also remove flower buds in first year of planting new rose for the above reason. Do not prune your plant first year. Second year, light pruning. 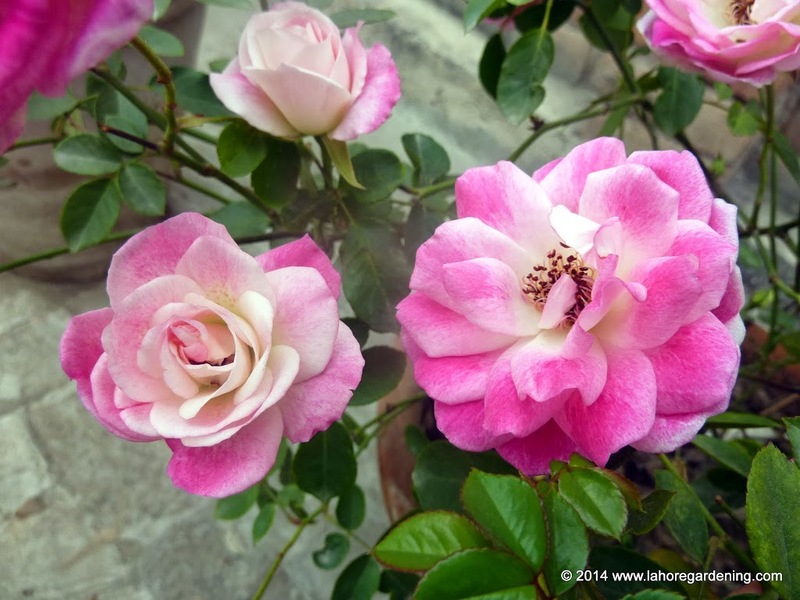 I hope you will like my tips on growing roses, do post your comments. Wonderful roses! Love the colors of the second one! Spectacular shots of gorgeous specimen roses. 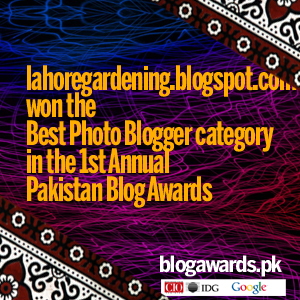 Congratulations too on yr Blog Award at top! Will return to check out earlier posts! double delight is lovely. We are surrounded by beach roses here. They are lovely in the summer months. Gorgeous roses and lovely pictures! Such amazing roses (it must be a warmer land – )! such beautiful roses! lovely photos and informative article! Nice to see this article khabab. It wraps up everything. Thanks for a very interesting post. I’ve grown roses in the ground and in pots. Up in Seattle in the Pacific Northwest, the biggest problem is black spot. Can’t wait for the warm weather and rose season to come again. Soon! Beautiful Roses. I don’t grow Roses in my own garden, but I help to look after the ones growing in the school grounds where I work. They are really looking terrible with huge infestations of aphids and loads of black spot. The groundsman cuts them down every year in Autumn, and they do come back very well, but by mid-Summer they revert to looking terrible. Of course our wet season doesn’t help. It’s an on-going battle. Thanks for this very informative post. I love roses too, and I like your photos here. Thanks for such a informative post. I was watering my rose plants in evening and thus the problem of Black spots and aphids was increasing I think. Salam. Thanks for such an helpful post. 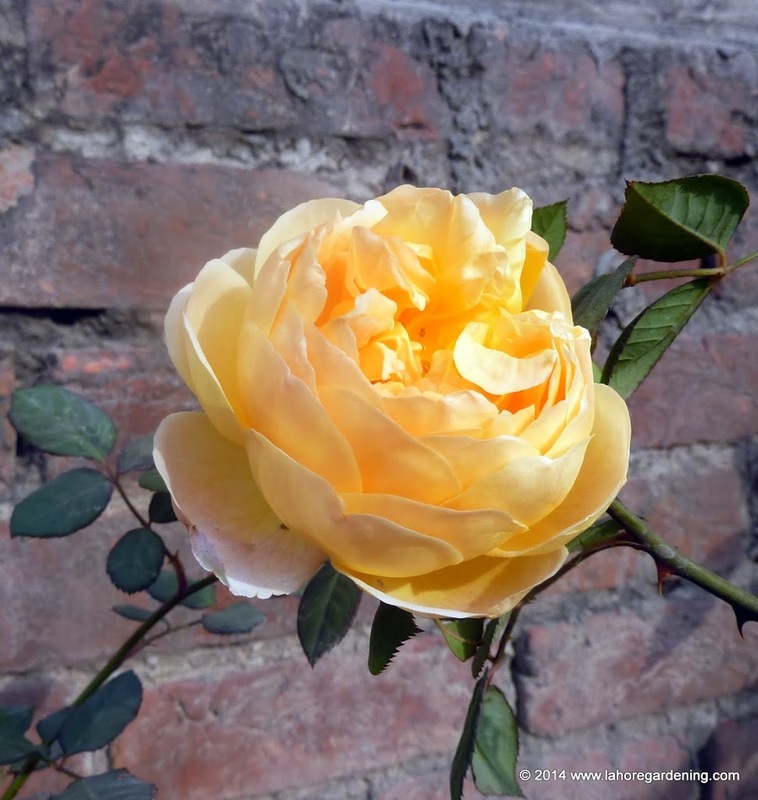 Would u like to share your experience of propagating tea roses? Great information in an easy to read format! 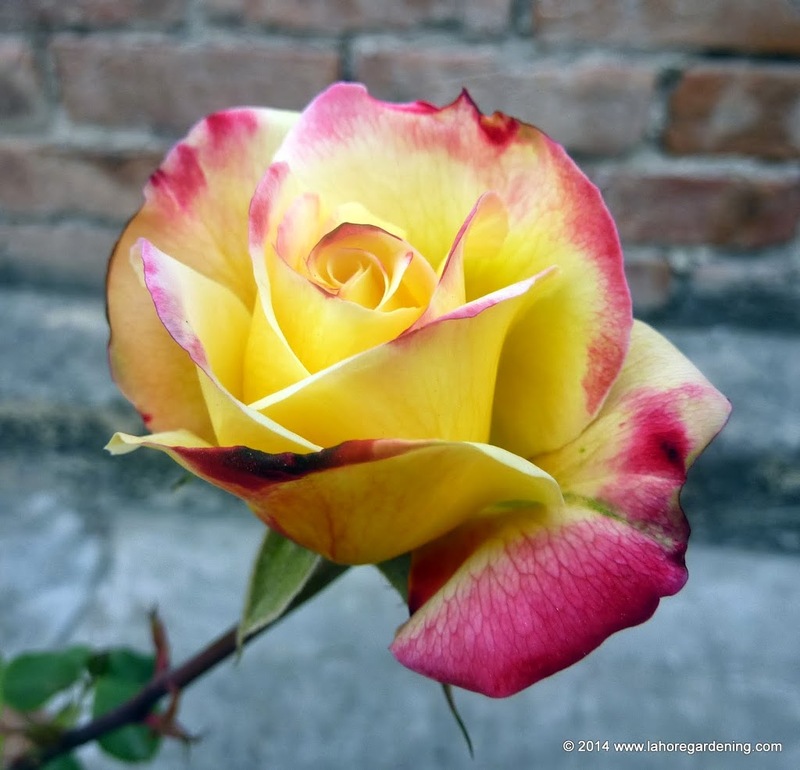 Thank you for linking to my Own Root Rose post. What is SSP ? Where do i get it from ? SSP is single super phosphate and is easily available from seeds shops and plant nurseries. Thanks@khabab. Can anyone guide me which nursery have best variety of grandiflora roses in islamabad or pindi and how much they cost ? You should try Fateh muhammad nursery H Markaz nursery area. Do these vendors know the name of species and all i mean if i ask them to show grandiflora variety will they b able to show me or is there any way to identify tht this particular rose is of tht specie ?? One more question pls is there any variety of standard rose of grandiflora specie ?? There should be. But i have mostly tried standards of either miniatures or floribunda’s. My roses are planted in a soil bed, how often should i give the stated ratio of NPK apart from cow manure once a year in dec ?? In growing season, fertilize them every fortnight. What is the growing season of roses in isl ? Oct to april ? How much quantity should be given? And wat abt SSP and nitrophos, can they be given throughout the yr or growing season only and can i give NPK additionaly in growing season with these salts or one thing at a time ? @khabbab thanks a million for ur kind guidance i really needed a platform where some informative person like u can answer my queries and help me fulfilling my passion of gardening. A great article Khabbab. By reading your post, I think I have known all what I wanted to know about roses. Rose is indeed the king of all flowers and no one perhaps knows as much about these kings as you do. So nice and kind on your part to share your in depth knowledge on roses with novices like us, the dummies in things called growing roses. All kudos to you. Water only when you notice the soil is dry. If your soil is wet and leaves are drooping then that is result of over watering. Keep them in full sun these days. how cold is too cold for rose plant tell me in centigrade temprature ?? That depends on many factors including rose variety, type of rootstock, whether graft union is buried inside soil or above soil, micro climate etc etc. Generally speaking most roses easily survive 0c and come back when temperature comes back. Roses of northern climates survive severe cold temps in below zero. I have black rose seeds but don’t have an idea when to sow them. I live in Lahore. Can anyone please tell me when to sow these black rose seeds?